Bermuda gets more than 75% of its tourists from the USA, 5% from Canada, 4% from the UK and rest of the world combined. Hence the great majority of Bermuda's direct airline arrivals and departures are mostly from US East Coast cities. (There are no longer any flights between Halifax and Bermuda or Baltimore Washington, instead, there are now flights from Washington DC to Bermuda, as shown below. Nor are there any commercial flights from or to the Caribbean, 900 miles south. Bermuda is NOT in the Caribbean. Going there from Bermuda is via the USA or Canada or UK). Bermuda is 568 miles east of North Carolina (with a daily flight), 693 miles south east of New York (with daily flights), 729 miles south of Nova Scotia, 770 miles south east of Boston (with daily flights), 788 miles north east of Nassau (no connection by air but via the USA), 1115 miles south east of Toronto (with daily flights), 1290 miles north of Puerto Rico (via the USA), 2055 miles from Winnipeg (via Toronto) and 2996 miles from London, England (a daily flight). The Bermuda Government has recently significantly reduced its Minimum Revenue Guarantee (MRG) liability, through which airlines are guaranteed a minimum return for their service. Every year, the Bermuda Government and its taxpayers pay out $ millions to international airlines serving Bermuda companies to cover the cost of Bermuda flights. They do so because failure to make revenue guarantee deals with airlines would mean losing Bermuda routes. Small islands and countries not attracting a million or more visitors every year have a challenge getting flights. The payouts are part of the cost of doing business. Bermuda offers most airlines a minimum revenue guarantee which kicks in when airlines serving Bermuda and their volume of passengers don’t make industry-level returns. Such deals are understood to be common elsewhere when facing similar shortfalls. Cutting deals with airlines is not optional, it's either that, or lose the route. It's up to Bermuda not the airlines to increase the numbers of people getting on those flights. Jurisdictions like Bermuda with these minimum revenue guarantees have to hope their marketing will bring in the people. The Bermuda Government pays out an annual $2 million-plus subsidy to airlines when they fail to meet their revenue projections in accordance with the minimum revenue agreements Government entered into with airlines flying to Bermuda dating back to 2007. Airlines have a uniform policy of building into their fares structure wherever they go a standard formula for their cost of doing business there. They use a system based on net operating ratio per territory they cover, with the relevant impact on net operating revenues and net operating expenses. 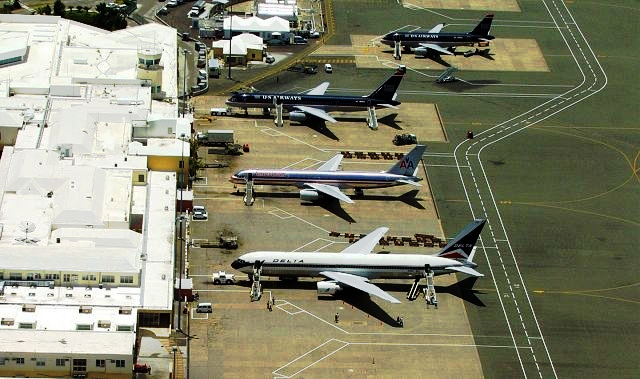 In airport user charges and taxes and fuel costs for refueling locally, they pay vastly more per square mile for a place of Bermuda's total geographical size for their airport and city offices and other services than anywhere else they go. Plus, operating costs and staffing etc. expenses are much higher than elsewhere. Economies of scale in terms of numbers of passengers per airline flying to and from Bermuda don't exist, with Bermuda's total number of visitors by air - spread among all the airlines flying here - totaling less than 450,000 flights a year combined among all the airlines, compared to millions in some other jurisdictions. Airlines flying from Bermuda are not required under Bermuda law, as they are required in the UK since January 2008 and Europe earlier under their laws, to include compulsory taxes and charges in their headline prices. Bermuda has no international regularly scheduled airline of its own - although this was not always the case - see Bermuda's Aviation Pioneers. The last one was Eagle Airlines (Bermuda) Ltd in the late 1950s. Responsible for the regulation and safety oversight of aviation in Bermuda and all aircraft on the Bermuda Aircraft Registry. Previously known as the Bermuda Department of Civil Aviation, which was established in 1931, the new BCAA became a newly formed Authority on October 1st, 2016. Bermuda is a United Kingdom Overseas Territory and though it is regulated by the UK Department for Transport, the safety oversight system is separate from that of the UK. The regulatory requirements are established as the Overseas Territories Aviation Requirements (OTARs), which are in full compliance with the standards and recommended practices of the International Civil Aviation Organization (ICAO). Bermuda’s Aircraft Registry is extensive and ranks 10th in size when compared to the 191 signatory States to the Convention on International Civil Aviation. The current Registry includes a mix of both private aircraft and commercial aircraft operated under Article 83 bis Agreements. Air Canada. From Toronto, daily. 888-247-2262. American Airlines. From New York, Boston and other airports in the USA. 800-433-7300. British Airways. One flight a day from London, England (Gatwick), the UK's second-biggest airport, in high season, five times a week in low season. 44-844-493-0807. Delta Air Lines. Daily from Atlanta International Airport (ATL), Logan International (BOS) and New York La Guardia (LGA). 800-221.1212. JetBlue. Daily flights from New York (JFK) and Logan International (BOS) Boston. 800-538-2583. Apple Vacations of USA and some other services, are allowed in from the USA to carry tourists going both ways but are not allowed to carry one-way passengers including Bermudians and residents. TNT Vacations of USA have also operated off-peak charter flights to Bermuda, heavily subsidized by the Bermuda Government. Bermuda International Airport closes at night after the last flight. Under no circumstances are any passengers allowed to sleep there overnight. When it closes, all facilities - restrooms, etc. - close as well. Security guards enforce the closure. All are expected to go home or to an hotel. There are no airport jet ways in Bermuda so passengers in wheelchairs or who have mobility problems and cannot mount and dismount aircraft steps unaided should ask ahead of time for airline assistance when arriving and departing. All passengers pay both these, built into the cost of their tickets. See the latest Bermuda Government's Miscellaneous Taxes (Rates) Amendment Act. Bermuda has the highest Departure Tax in the world per square mile - now US$1.66 per square mile of Bermuda's 21 square miles. Formed in 1937 as Trans Canada Air Lines, It first flew in 1939. In September, 1946, in one of the first not pressurized Canadian North Star aircraft, it surveyed the route from Montreal to Bermuda. In 1948 it began a Montreal Toronto Bermuda route and established air to ground communications systems it needed, in Bermuda, Goose Bay, Labrador and Gander, Newfoundland. It commissioned the 1986 book "It Seems Like Only Yesterday" by Philip Smith to commemorate its 50th anniversary. Today, Air Canada offers year-round service. The local head office (open Monday to Friday 9:00 am to 5:00 pm) is at the Bermuda International Airport, 3 Cahow Way, St. George's Parish, Bermuda, telephone (441) 293-0793, fax (441) 293-0667. Telephone Aero plan 1-800-623-0752; Passenger Reservations & Information 1-800-776-3000 (7 am to 3 am, 20 hours daily); Air Freight (441) 293-2480 or 2105; Baggage (441) 293-0794; Flight Information (441) 293-1777. Merged beginning in 2013 with US Airways. It began daily non-stop service between Bermuda and New York (JFK) on September 8, 1975. That first Bermuda flight on American was a Boeing 707 from Boston's Logan International (BOS). It has been flying to Bermuda ever since. Now-defunct US Airways, merged into American Airlines with the final end of the merger in October 2015, when still Allegheny, began its services to Bermuda on June 1, 1989, flying from Baltimore/Washington (BWI) to Bermuda and Philadelphia. Now Bermuda's most frequent carrier, with some services daily year round. Main office is at Bermuda International Airport, 3 Cahow Way, St. George's Parish. Telephone Reservations & Information at 1-800-622-1015 or fax 1-441-293 1270. Air Cargo (441) 293-1972; Baggage (441) 293-3073. Front Street City of Hamilton ticketing office is open Monday to Friday from 9:00 am to 5:00 pm. Also at Bermuda International Airport, 3 Cahow Way, St. George's Parish. Telephone toll free 1 - 800 AIRWAYS (1-800-247-9297) for automated services 24 hours daily including fares, schedules, flight arrivals, departure times. Local telephone numbers are Airport Customer and Baggage Service (441) 293-1944; Executive Office (441) 295-0710; and Sales Manager (441) 296-2031. No airline has linked Bermuda to the outside world for longer. 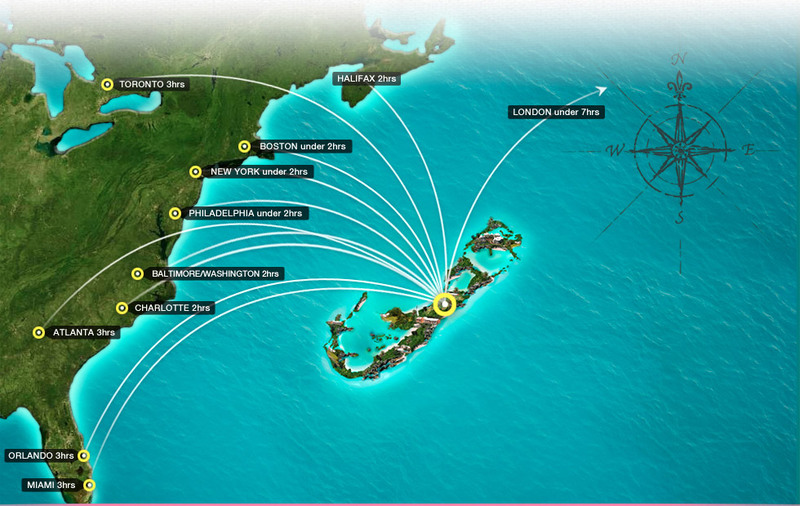 Presently, providing the only airline service between Bermuda and the UK and Bermuda and Europe via the UK. It began services to Bermuda on May 18, 1937 - see Bermuda Aviation - as Imperial Airways with a survey flight on May 25, the first passenger carrying flight on June 8 and official inaugural flight on June 12, via flying boat G-ADUU RMA "Cavalier" shipped to Bermuda in parts from Britain, then re-assembled by Imperial's engineers. It and Pan American World Airways - now gone - were the original pioneers of commercial air services to Bermuda. It once flew between Bermuda, New York and Miami and Bermuda to the Caribbean. It began flying in UK in 1919 as Daimler Air Hire, then Daimler Airway. Handley Page Transport was added to the stable, then Instone Air Line and British Marine Air Navigation (BMAN). The amalgamated service became Imperial Airways in 1924 and British Overseas Airways Corporation (BOAC) in 1939, then British Airways again. Passengers who can afford it should seriously consider going at least Premium Economy for a vastly more enjoyable flight with far better comfort, better seat pitch, leg room, food and service. 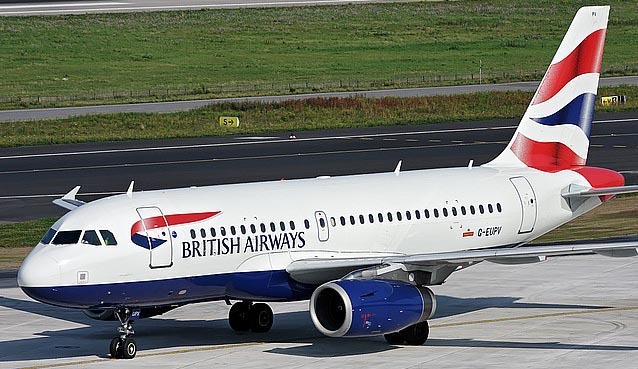 BA's single most profitable route is this Bermuda run, with the added bonus of no competition from Virgin Atlantic or any other, unlike in BA's other routes. BA air fares reflect this lack of competition. Tax per passenger per single flight in Economy Class (Standard rate) and Premium Economy/Business Class (Higher rate). From/to Bermuda and UK. To other parts of the world from Bermuda via UK. Bermuda is in Band B (2001-4000 miles). For BD$ equivalents use foreign exchange rates applicable at time of purchase. World Traveller Plus tickets from London Gatwick to Bermuda cost more than for flights to Barbados or St. Lucia in the Caribbean, both much further away. Since November 2009 the UK Government has hiked its Air Passenger Duty (APD) tax to levels that are the highest in the world by a wide margin, by 375% in two years. Flying to Bermuda from this alone is now appreciably more expensive as a result. It now costs more in taxes than in fares (as the above example illustrates) to fly from the UK to anywhere as the fare. London and UK public transport systems ( tube or subway, buses, trains except for the Gatwick Express) are not designed for passengers with suit cases and are hugely more expensive than far more comfortable-for-travelers systems in France, Germany, Belgium, Holland, etc. Passengers cannot take 0.75 or 1 liter bottles as hand baggage if going from Gatwick to any other UK or foreign airport. Still as North East Airlines - before it changed its name - it inaugurated its Bermuda service in March, 1969, from Boston. For a while it had a direct flight between Bermuda and Hartford, Connecticut. 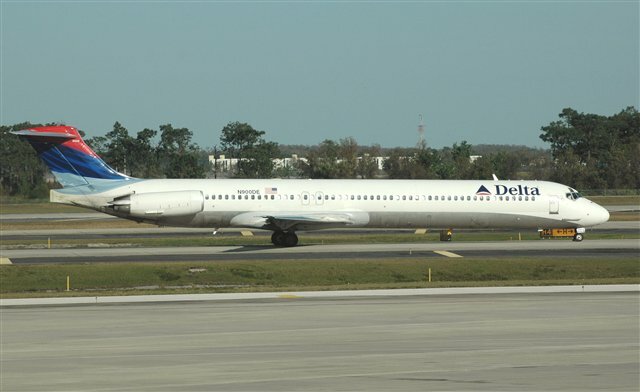 In May 2012 it announced that from April 2013 Delta would also offer daily year-round service between New York (LaGuardia) and Bermuda. The airline announced the new flights to Bermuda were part of an expanded service out of New York that would also include additional transport to destinations in the Caribbean and Florida. The move was hailed by the Bermuda Hotel Association and still applies. Delta's office is at Bermuda International Airport, 3 Cahow Way, St. George's Parish. There is also a City of Hamilton ticketing office. (1-800-538-2583) or 1-801- 365-2583, if calling from Bermuda. Began twice-daily high-season service from JFK New York on May 4, 2006 and Boston in 2007. This low-cost airline came to Bermuda after five years of wooing by the Bermuda Government. A subsidiary of United Continental Holdings, Inc. formerly UAL Corporation, with corporate headquarters in Chicago. Local office is at 3 Cahow Way, Bermuda. Began services to Bermuda in May 2010. A Canadian low-cost carrier based in Calgary, Alberta. It flies within Canada, to the USA, Mexico, Bahamas and Caribbean. The second largest Canadian carrier behind Air Canada. From cities shown in USA, Canada and United Kingdom. On arrival, passengers go through Bermuda Immigration and Customs, not through lines for Bermudians and residents but those for visitors. Then they take taxis or minibuses to get to their hotels or guesthouses or wherever else they are staying, or are met by friends or family. There are no rent-a-car or public transportation services for passengers with luggage. Note that some flights are seasonal. To cities shown. Refer to airlines for any changes. USA-bound passengers go through US Customs & Immigration pre-clearance in Bermuda. Fights shown are in order of time of departure, to help persons taking them to the airport, or taxi owners and operators, or local mini-bus services for departing passengers. Departing passengers should check in to the airline ticket counter two hours before their departure times, to avoid being refused if they arrive too late to be questioned, screened and processed. Passengers going to Britain or Canada will encounter Immigration and Customs clearance when they arrive in London or Toronto. In the United Kingdom, if a spouse has a UK national passport, an accompanying husband or wife who is not a UK national may also go through the UK and European Community lanes instead of the far more lengthy other Immigration lanes.